You know how it is when you go out to a restaurant, you read over the menu, and you wish you could order a dinner made up of entirely of appetizers? Appetizers can be the most interesting and appealing options. It happens to be the same case sometimes with the food I cook at home! That is my excuse for providing two disparate appetizer recipes in this week’s blog entry. The truth is, I did a good job cooking last week, including main dishes, but I did a poor job managing my time overall. After spending the days in front of a computer at work, I avoided the computer at home, even when there were important things to do there, including this blog! And I still managed to get an insufficient amount of sleep. Anyway…I was excited to get eggplant in the farm share, because I had this article filed away for reference. I selected the below recipe, and used up the rest of my homemade garam masala! A continuation on my garam masala notes: some grocery stores, like my beloved Wegman’s, have a bulk spice section, where you have total control over how much you commit to getting at once. I found great spices at a natural food store, also in Ithaca, called Greenstar. I’m not sure if Whole Foods has this option–it may depend on your area. You can also buy a small portion online through Penzeys (they give recipe suggestions too) or Amazon.com (woo hoo “Add-On Item”) or even eBay. 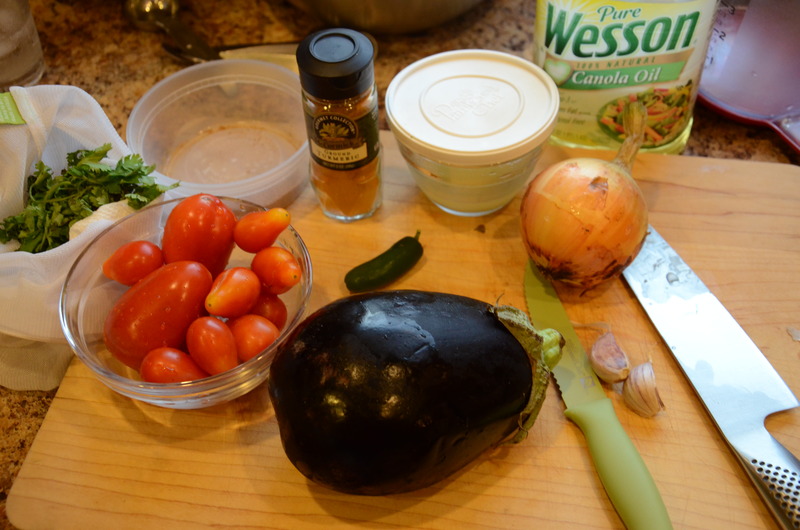 I like this method of cooking the eggplant, which I never have tried before. 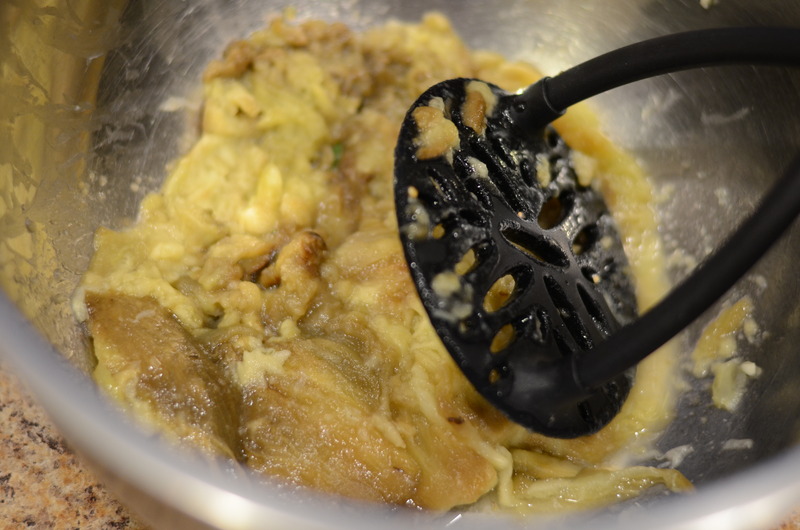 In fact, after reading this article, I realized that, as far as I can remember, I may have only cooked eggplant in the form of “parmesan,” or something closely related. I certainly enjoy it other ways, including the eggplant fries at Ithaca Ale House and baba ghanoush. It was good to branch out at home. And it certainly wasn’t hard! As you can see, I was really stretching it with the last of some cilantro which had been wilting in my fridge. Prick the eggplant with a thin knife or grill skewer. 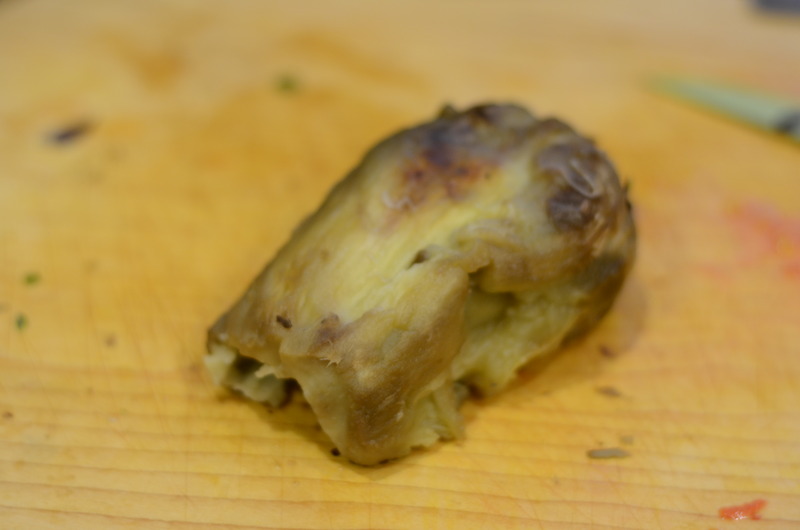 Broil or roast on a heated cast-iron pan in the hottest possible oven, checking every few minutes to turn as necessary so that the skin turns black and the eggplant collapses. Don’t forget (if you’re me) that every time you open the oven you are in danger of setting off the smoke detector. It should be done in about 20 minutes. You can also do this over a grill set to high heat. 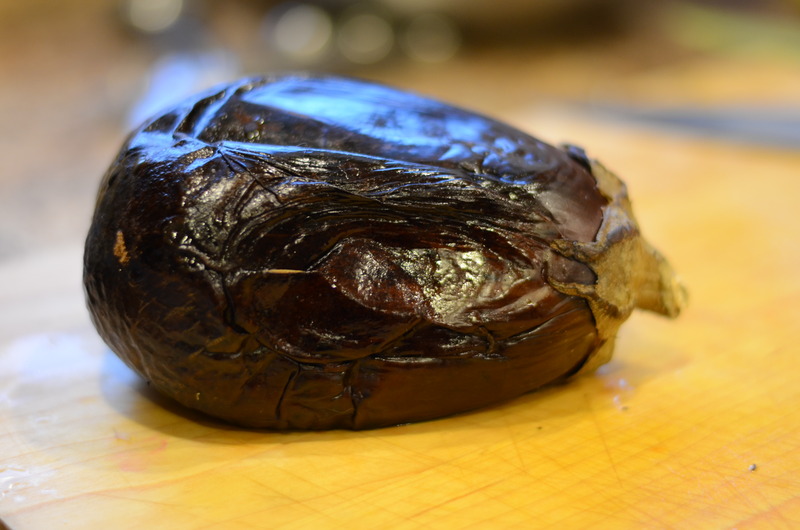 When the eggplant is cool enough to handle, it is extremely easy to peel! Cut away the hard stem. 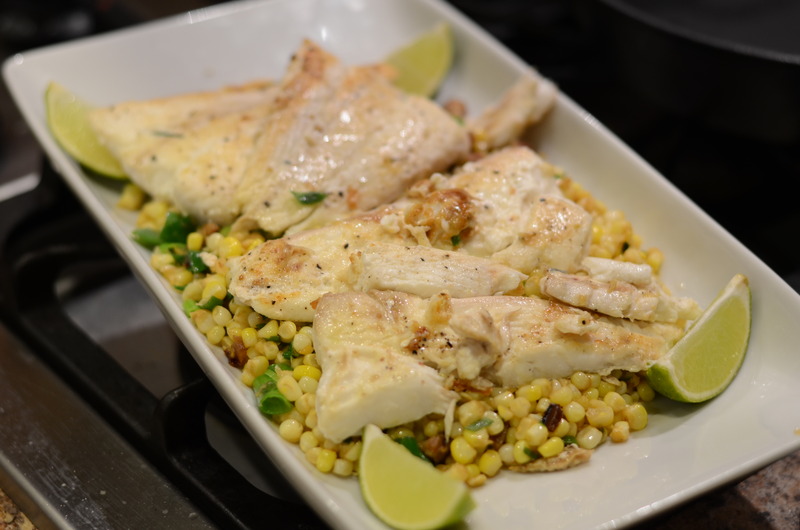 Chop or mash in a bowl, with lime juice. I put another kitchen tool to use! This actually probably mashed the eggplant more than I would have wanted. Add oil to a skillet set to medium-high heat. 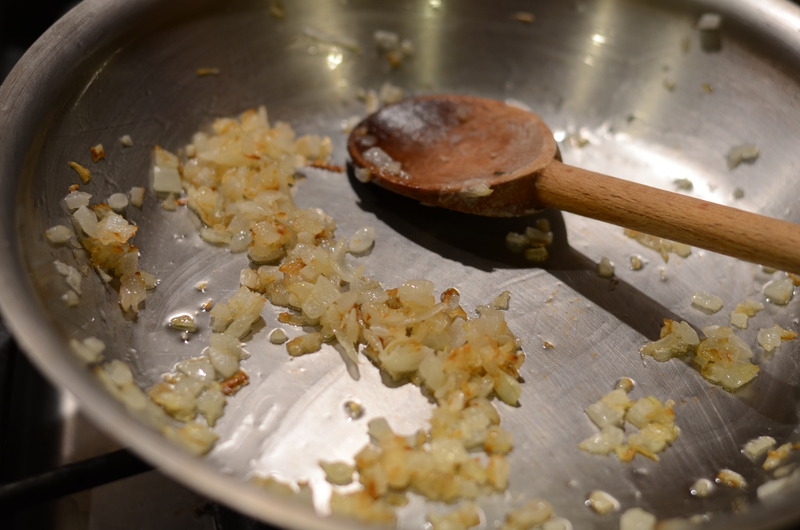 Add the onion and cook, stirring often, until it is golden brown, 5-10 minutes depending on your temperature control. Add the garlic and chiles and cook for another minute. Add the tomato, turmeric and salt. Cook until the tomato is soft, 5 minutes or so. Stir in the eggplant purée and cook, stirring, 3 to 5 minutes. Stir in the cilantro and garam masala and turn off the heat. 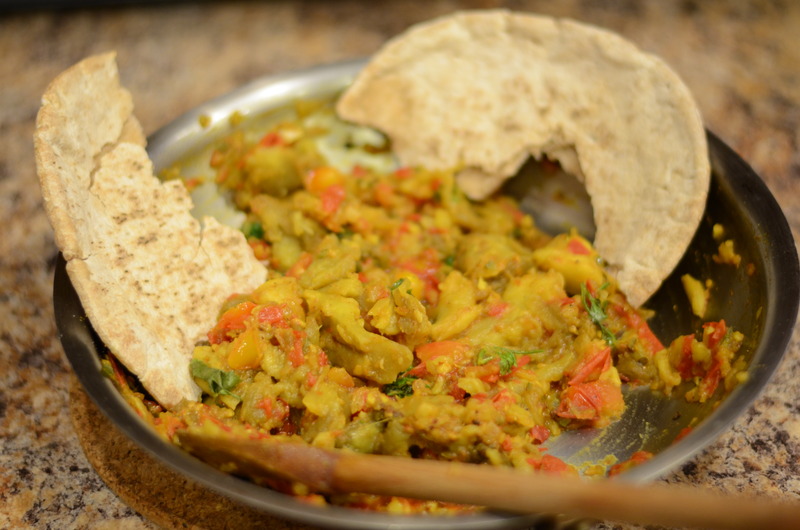 Serve hot with warmed pita bread, naan or another type of Indian flatbread. 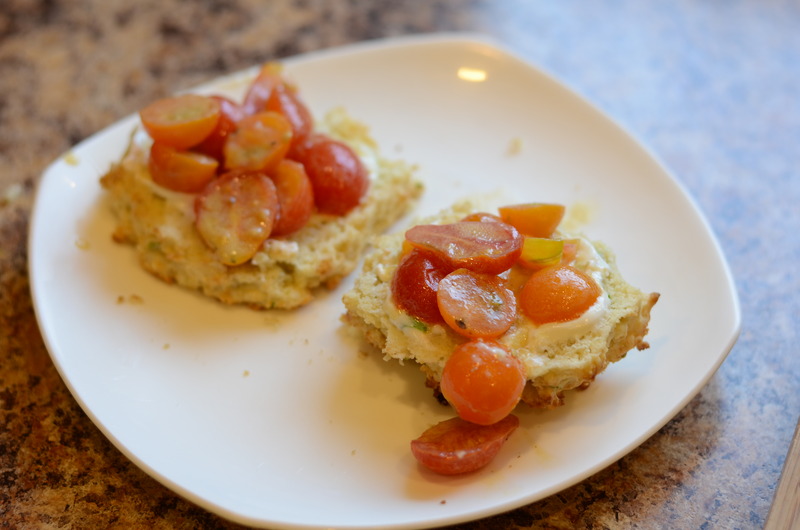 Next up: I followed another blogger’s recreation of one of the many tempting recipes from the Smitten Kitchen cookbook: Scallion Biscuits with Whipped Goat cheese and Tomato Salad. I’ll let you read it here because she already includes helpful substitution suggestions (like for me, I used variations of milk and half and half in place of the whole milk and whipped cream in parts of the recipe). Also, because I have decided I mostly hate the process of working with cold butter to make pastry, I employed the cheating method: cutting the butter up into small pieces, putting them in the freezer to get super cold, and using a food processor to combine the butter and flour and then make the dough. I served this as a first course for guests on Friday. And then I had leftovers for lunch on Saturday! 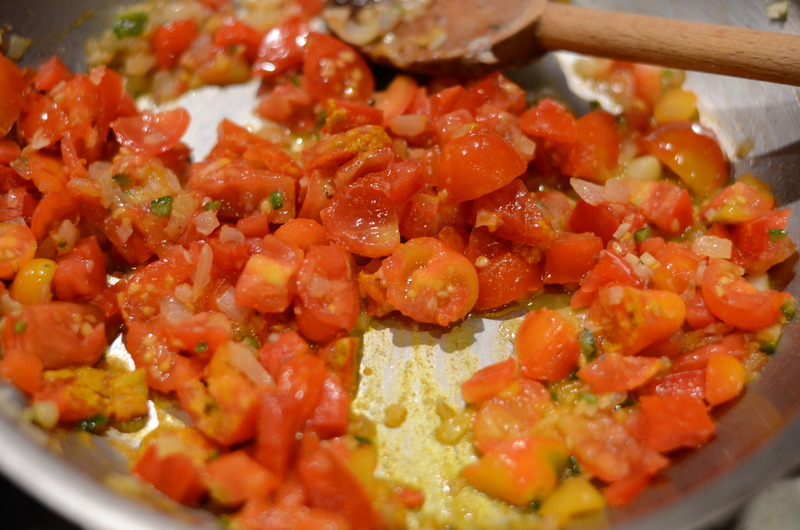 Note that both of these recipes used tomatoes…from my garden…more on that soon! Here I am with the entrée I served. This entry was posted in Fresh Herbs, Great leftovers for lunch, Recipes, Tomatoes and tagged biscuits, cilantro, eggplant, garam masala, scallions, tablespoon lime juice, tomatoes. Bookmark the permalink. Hi, thanks so much for linking to my recipe! 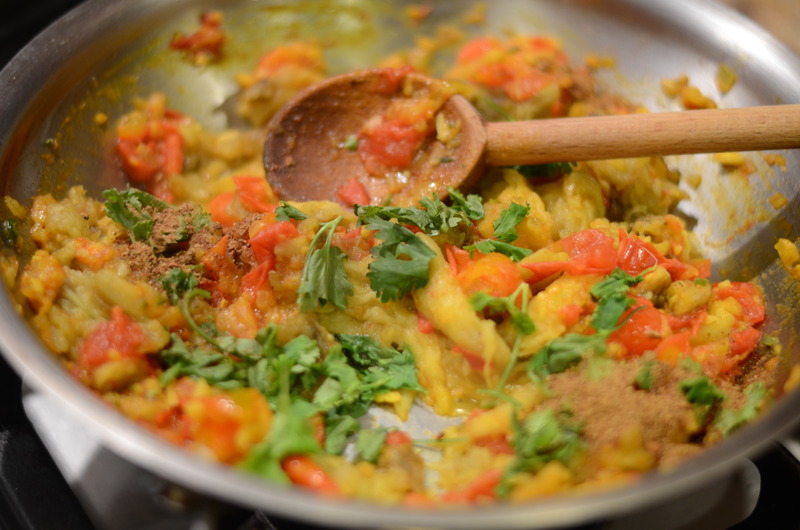 Your Baingan Bharta looks amazing; I may have to try it. Hi! You are very welcome. 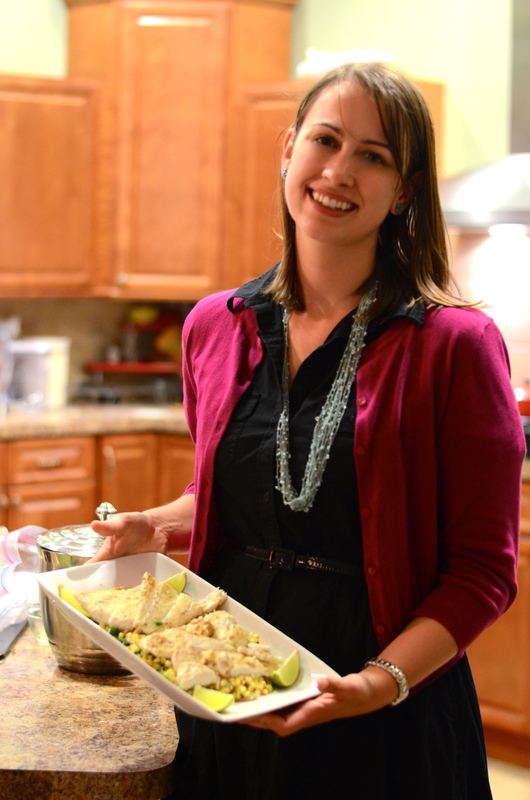 And thank you for blogging that recipe from the cookbook! I love what you did with the recipe by accident. I was happy with how it turned out, too, and have yet to make it exactly the same was as in the cookbook — the mustard vinaigrette is too good! You’re looking mighty fancy for the kitchen! Very lovely picture of you!